Colonial Virginia has long been one of NationsClassroom’s most popular school trip destinations. 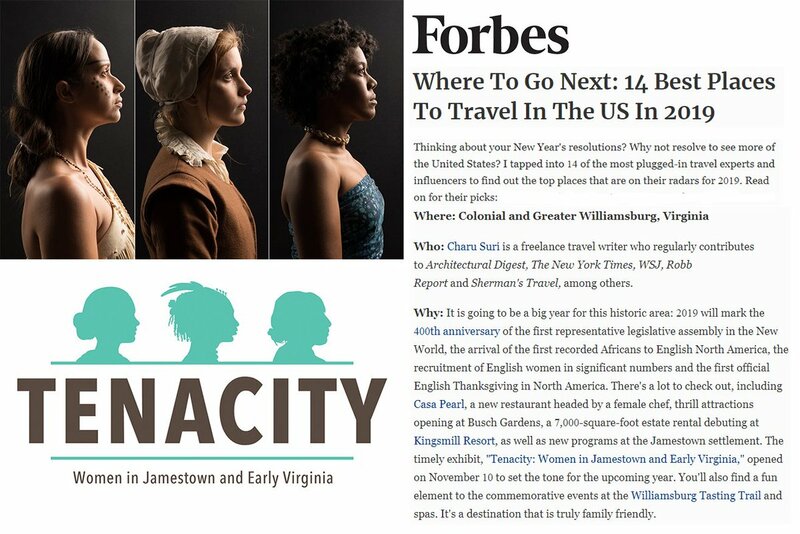 In her article, Bloom cited Jamestown settlement’s new exhibit Tenacity: Women in Jamestown and Early Virginia as a “timely exhibit” and a must-see. Luckily for our travel groups, the exhibit is on display through January 2020. Visitors to the area can also explore Colonial Williamsburg, a living history museum with buildings from 17th and 18th century. This historic area is an interpretation of a Colonial American city with restored and recreated buildings, taverns, and trade shops. Many of our school groups also plan a visit to the American Revolution Museum at Yorktown. Here students hear the story of our nation's founding, from the early colonial period through the trials of the Revolutionary War and the founding of a new government. Indoor galleries feature artifacts, immersive areas, and interactive exhibits, including a 180-degree surround screen with dramatic special effects, featuring a film called "The Siege of Yorktown." To read the complete list of the top 2019 destinations, read the full Forbes article. For information about school trips to Colonial Virginia, please Browse Our Tours.